A little throwback to when my hair was all blue! 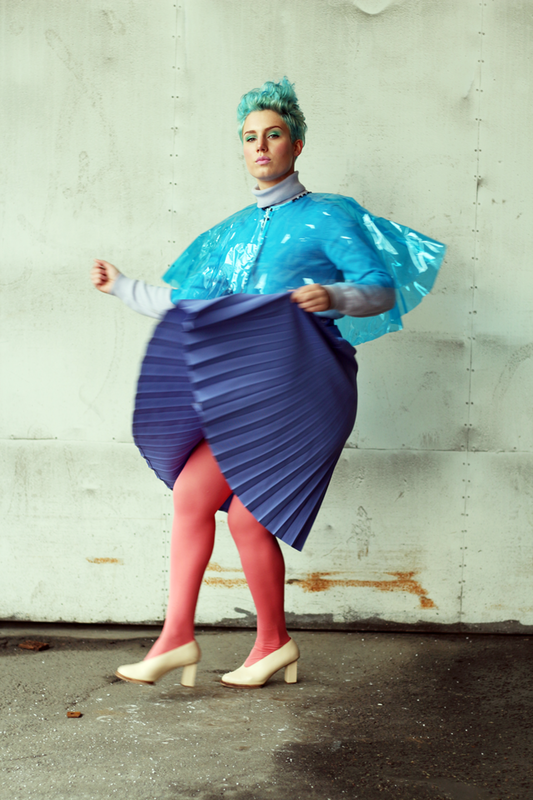 I love this beautiful plastic cape I got from UK designer Kitty Joseph last year! My photographer Karianne and I had a lot of fun on this shoot, twirling and twirling around.